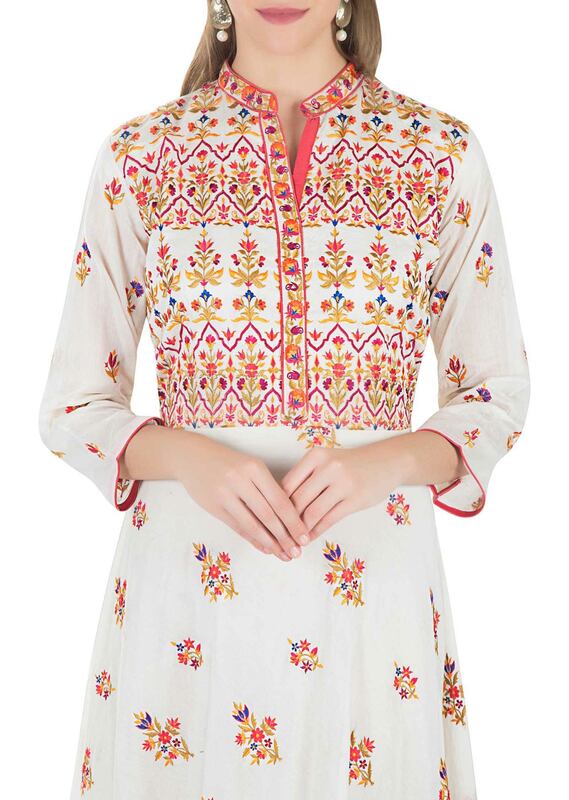 The off white background of the cotton silk top is brought to life by vivid floral patterns covered in vibrant resham work. 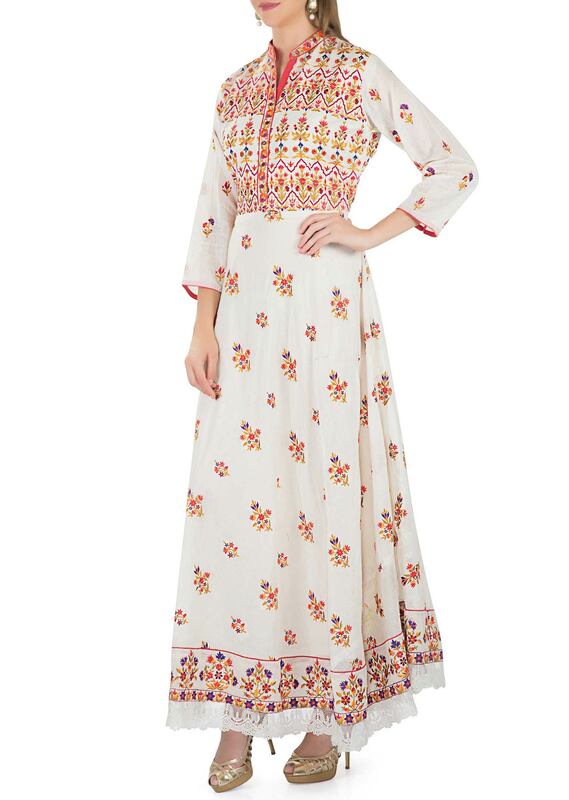 The top comes with a high neckline, three quarter sleeves and a flared hemline adorned with a delicate lace border. 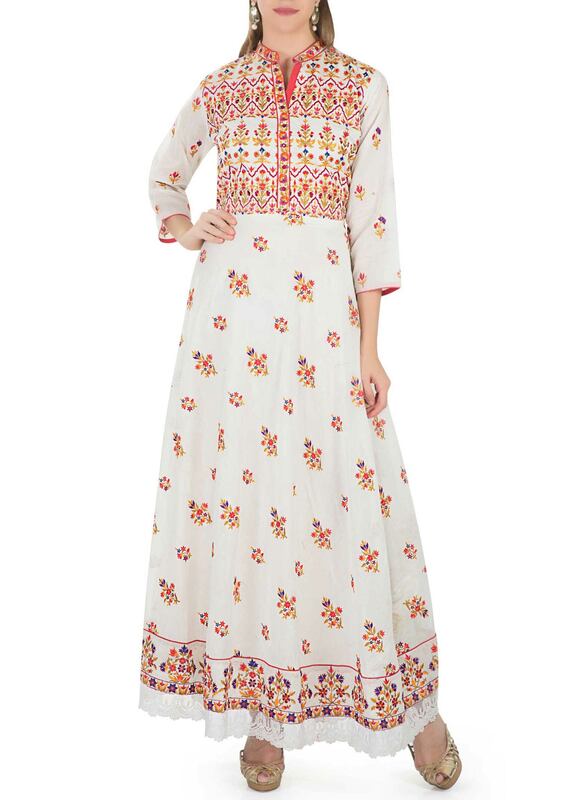 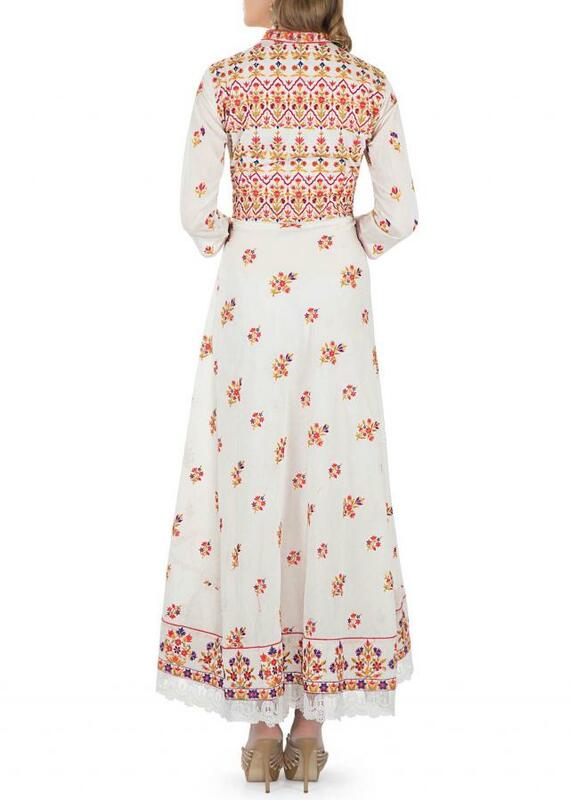 It is accompanied by a chiffon dupatta and an unstitched cream cotton bottom.